Junior High Girls Basketball will face off against Laurel at Laurel at 3:45. Junior Varsity football plays at Greenville at 4:30 today. Junior High Girls Basketball plays at Farrell at 4:00. The Junior High Football team will scrimmage at Ellwood City tomorrow at 4. Middle school track meet will be held Wednesday, April 25th. The meet will be held at Lakeview and will begin at 4. Middle School Track Meet will be Wednesday, April 11th. The meet begins at 4 at Wilmington. The meet is against Mercer and Sharpsville. Middle School track meet will be held at Reynolds Wednesday, April 4th at 4:00. 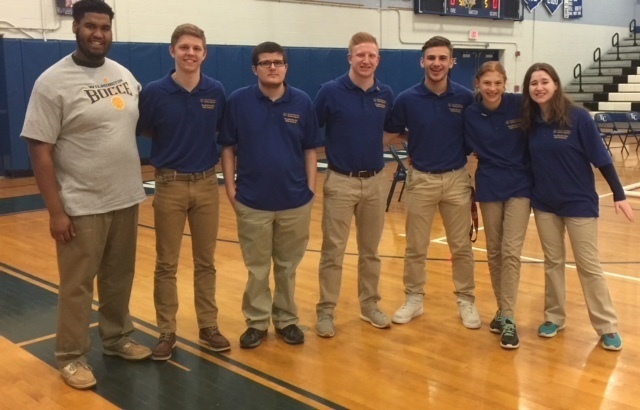 Congratulations to the Interscholastic Unified Bocce team for placing 3rd in the region at the Regional Championships held last week at Slippery Rock University.